Leg Supports adjust to the right height to help you enjoy Brigger chairs, rockers and sofas. The Brigger Leg Support has a cushioned top that tilts and adjusts to the angle of your legs. The height is adjusted with an easy-to-grip knob. A sturdy base features the same beautiful solid hardwoods as your chair, rocker or sofa. Prices depend on the choice of wood, stain, and upholstery materials in six price codes, which you select in the Design Center. Support height is adjustable from 14″ – 20″. Brigger Ottomans are a great way to support your legs, or even a book or drink. 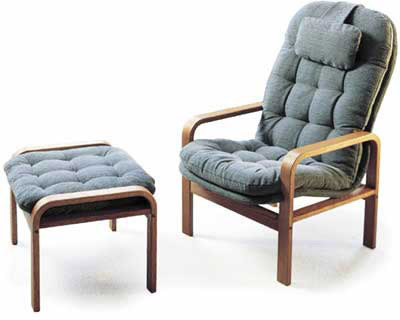 The Brigger Ottoman is a versatile accompaniment to your Brigger chair, sofa or rocker. 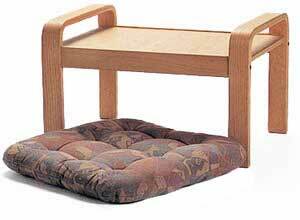 With the cushion on, it’s a perfect resting place for your feet and legs. With the cushion off, use it as a side table for your books, drinks and anything else you don’t want to get up out of your Brigger chair for! Ottomans feature solid wood tops to go with solid laminated Brigger “legs”. They are available in oak, maple and cherry. The cushion and arm height is 16″, and the table height is 13″. Custom heights can be requested. Makes rocking easy for shorter people. Support your feet with this 3-step Footstand. It makes rocking easier for people with shorter legs. Available in oak and cherry. Add cushioning to your Brigger arms. Zip these cushioned Arm Pads on to the wooden arms of any Brigger model for added softness. 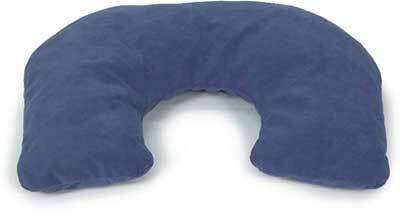 Lumbar Rolls, pillows, and baby cushions. Pillows add coziness, and ergonomics. All of our pillows (and head cushions) are filled with Dacron® 387 fiber “Comfort Clusters”. These clusters provide a down-like, soft, comfortable and supportive feel, with superior loft and retention. They are hypo-allergenic, mildew-resistant and non-absorbent. 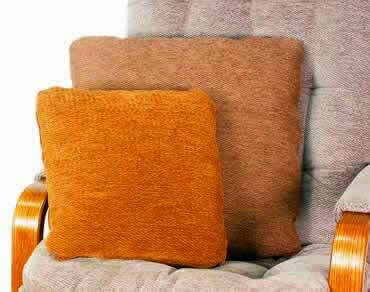 Our pillows are available in over 100 fabrics, divided into 6 price code categories (visit our DesignCenter for details). Add coziness to your sofa, or just make a fashion statement. Available in 3 sizes: 14″ square, 16″ square and 18″ square. 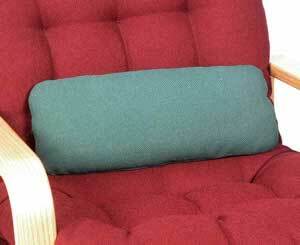 The Baby Cushion is a luxurious addition to any nursing chair, rocker or glider. We recommend the Avantgarde fabric for superior softness and exceptional cleanability. A Baby Cushion is included as part of the Baby Rocker Kit.